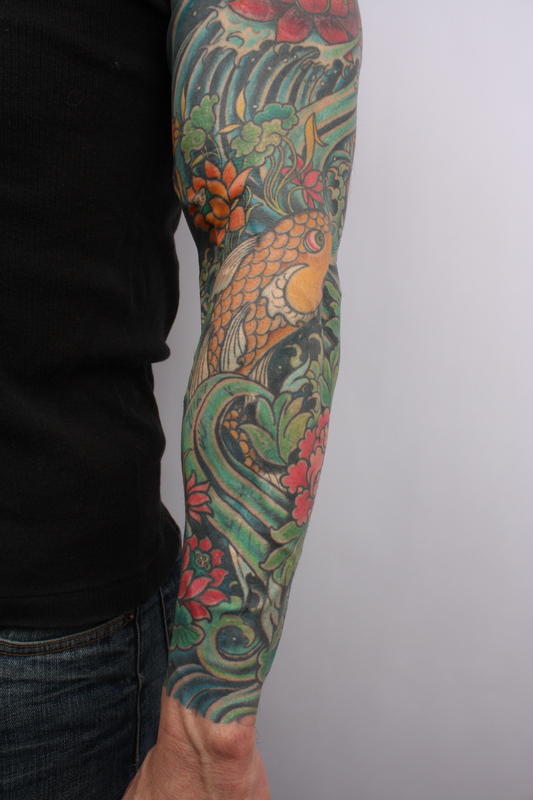 john came in with an old half sleeve koi fish and water we add the lower part and the all inside of his arm with another fish water and flowers . next his right arm , thank you john . he brought me the albom cover – exis bold as love , and let me do the rest of his arm as well . 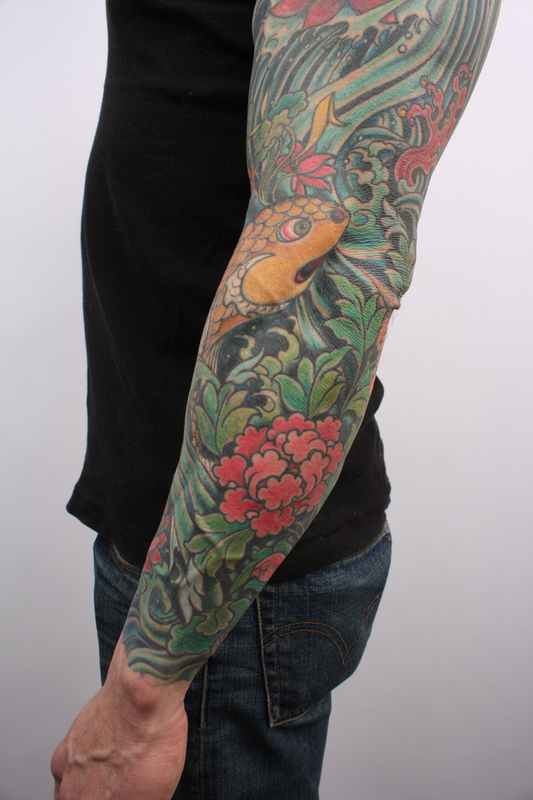 it was a fun project , we just started his other arm with butterflys and moth , i`ll post some up when we will done . i know i posted this one before but those are better quality photos .